Way back in 2018, Elaina spotted a short cruise on the Cunard Queen Elizabeth that she and Janet felt would be a nice occasion to celebrate our 50th wedding anniversaries. Then we thought, why not circulate the details to TSCC members. In the end, our party totalled 15 including Mark’s Aunt Audrey. The keenly awaited embarkation date eventually arrived and we all met up on board for dinner in the Art Deco inspired Britannia Dining Room on the Friday evening, all looking very pleased with ourselves in our dinner jackets and gowns. After the meal we enjoyed a show in the ship’s Royal Court Theatre followed by nightcaps in one of the ship’s many bars. On the Saturday (the only full day of the cruise) the weather was rather dull and miserable and so four of us (Janet, George, Doreen and Barbara) stayed on board and had the whole ship to ourselves. We played cards in the Commodores Lounge, at which yours truly fared badly playing against these ruthless ladies whose card playing skills are finely honed through years of Monday ladies-who-lunch sessions. Elaina and Ray braved the elements and ventured as far as Blankenberge (the nearest town to the port of Zeebrugge) which they said has some interesting shops. 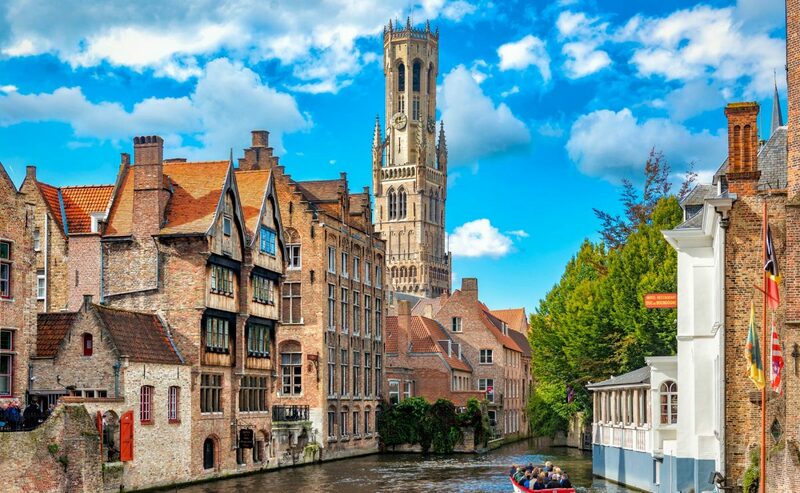 However, others took the train to Bruges and had a good browse around the picturesque town. The Saturday evening saw us once again “dressed-up” to the 9’s for another fine dining experience. After the meal and strolling through the ship we heard the strains of traditional jazz and, following our ears, we arrived at the Golden Lion Pub where a band with very talented musicians was playing well known Dixieland tunes. We actually managed to pull up enough chairs to seat us all, no mean feat on a busy cruise ship. For some of us this was the highlight of the trip. It was also very nice to have the company of TSCC friends on the memorable, if rather short, voyage.